Blue Rail Marina Beach, located in Manitowoc, has a history of poor water quality and is among the most polluted swimming beaches on Lake Michigan. The City of Manitowoc has therefore launched a three-phased project to divert stormwater and runoff away from the beach and treat it before it enters Lake Michigan. This grant will support the second phase of this project: the construction of stormwater infrastructure that will direct stormwater away from the swimming area to a rain garden. 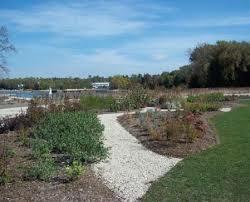 This rain garden will then treat the water before it enters the lake. The ultimate goal of this project is to help make this beach swimmable again.